Therellalwaysbeone C A Landers T Foley 8 yrs, 11-12 45 Form: 234P-10 A winner of a hurdle race at 3m on yielding ground. Well beaten at 7-2fav behind Routes Choice when 10th of 18 on his latest outing in a hurdle race at Limerick over 3m (soft) in December last year. Clontarf K M Donoghue D A McLoughlin 10 yrs, 11-7 40 Form: 5U-9525 Successful in a hurdle race and a chase at 2m 5f and 3m on good and soft ground, but last win was over two years ago. Well beaten at 6-1 behind Ronald Pump when fifth of 12 on his latest outing in a hurdle race at Fairyhouse over 3m (good) last month. Battling Spirit Katie O'Farrell Jonathan Sweeney 12 yrs, 11-6 45 Form: 1312-60 Successful in two hurdle races at 2m 3f and 2m 4f on soft and soft - heavy ground. Well beaten at 9-1 behind Routes Choice when 13th of 18 on his latest outing in a hurdle race at Limerick over 3m (soft) in December last year. 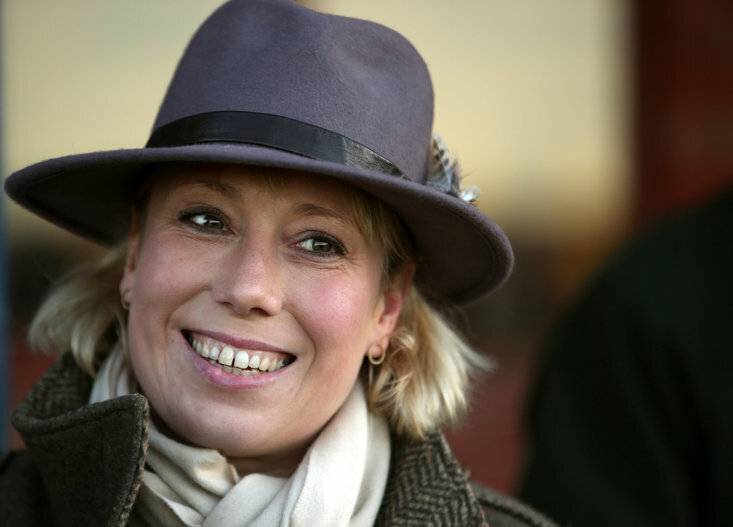 Waaheb A P Kelly Padraig Roche 12 yrs, 11-6 27 Form: 00-6900 Winner of three hurdle races, three NH flat races and a chase from 2m to 3m on ground varying from good - yielding to yielding - soft, but last win was over three years ago. Beaten 20l behind Free Ranger at 14-1 when 10th of 12 on his latest outing in a hurdle race here over 2m (good) last month. A winner of a point-to-point at 3m. Finished 8l behind Goose Man when fourth of 20 at 9-1 on her latest outing in a hurdle race at Navan over 2m 4f (yielding) last month. Wee Small Hours Mr D J Hand D A McLoughlin 10 yrs, 11-4 22 Form: 434-309 Successful in two hurdle races at 2m 3f and 2m 4f on good and heavy ground. Well beaten at 10-1 behind Goose Man when 9th of 20 on his latest outing in a hurdle race at Navan over 2m 4f (yielding) last month. 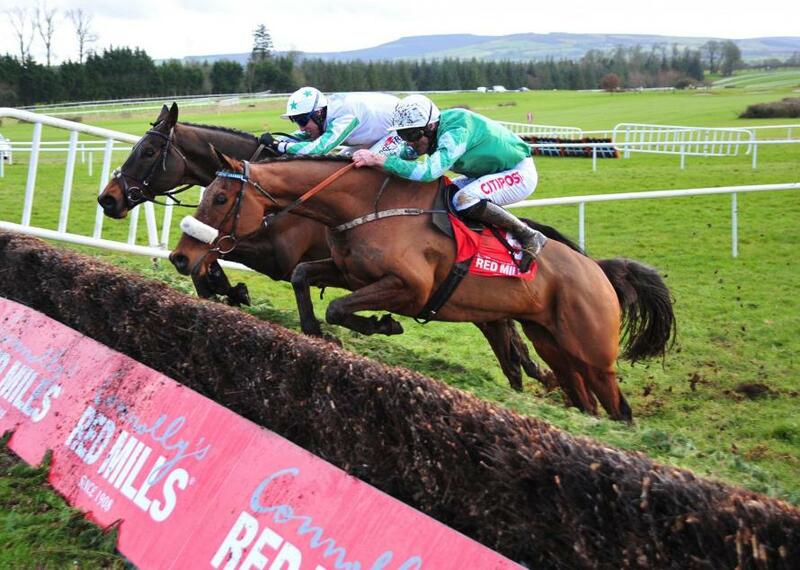 Treacysenniscorthy P Townend P W Flynn 7 yrs, 11-2 64 Form: 0065 Unplaced in all four starts. Finished 13l behind Askari when fifth of 23 at 11-1 on his latest outing in a hurdle race at Navan over 2m 6f (yielding) in December last year. Successful in a hurdle race and a chase at 2m 4f and 3m on heavy ground. Well beaten at 9-2 behind Dinnie's Vinnie when last of 9 on his latest outing in a chase at Roscommon over 3m (yielding - soft) in May last year. Glenabo Bridge B Browne O McKiernan 8 yrs, 10-13 36 Form: 2436-0F Successful in a hurdle race and a point-to-point at 2m 6f and 3m on soft ground. Fell 5 out when 7-2fav at Cork over 2m 4f (soft) in a chase won by Bridies Boy last month on his latest outing. Whydah R M Power Mrs J Harrington 5 yrs, 10-13 15 Form: 5766 Unplaced in all four starts. Finished 12l behind Halsafari when sixth of 21 at 20-1 on his latest outing in a maiden hurdle race at Fairyhouse over 2m 4f (yielding) last month. A winner of a hurdle race at 3m on good ground. Third of 18 behind Eight And Bob beaten 3 1/2l at 11-4fav on his latest outing in a hurdle race at Fairyhouse over 3m (yielding - soft) last month. Placed in two hurdle races from six starts. Third of 20 behind Goose Man beaten 5l at 17-2 on his latest outing in a hurdle race at Navan over 2m 4f (yielding) last month. Howaya Aoife S G McDermott G Keane 8 yrs, 10-9 35 Form: F5/0-990 A winner of a point-to-point at 3m. Well beaten at 66-1 behind Valdieu when 16th of 19 on her latest outing in a maiden hurdle race at Naas over 2m (good) last month. 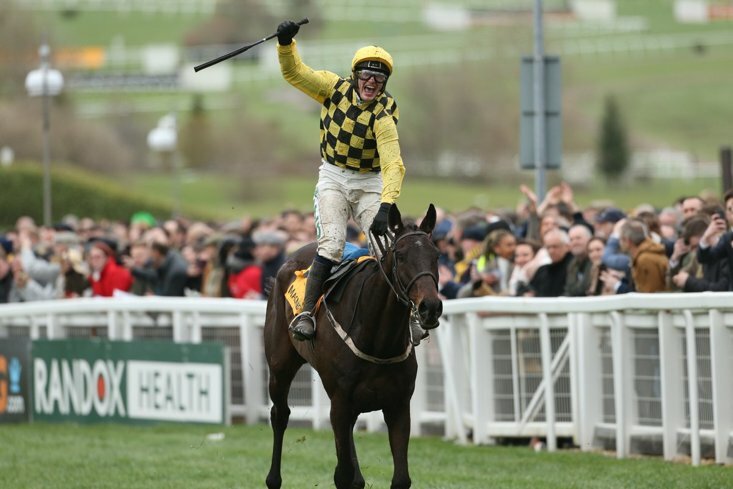 Sizing Joshua J S McGarvey M F Morris 6 yrs, 10-5 15 Form: 600066 Unplaced in all nine starts. Well beaten at 12-1 behind Eight And Bob when sixth of 18 on his latest outing in a hurdle race at Fairyhouse over 3m (yielding - soft) last month. Little Princess M J Bolger Ross O'Sullivan 5 yrs, 10-4 31 Form: 657047 Placed in a hurdle race from 15 NH starts. Well beaten at 66-1 behind Daybreak Boy when last of 7 on her latest outing in a hurdle race at Clonmel over 2m 3f (yielding) last month. A winner of a hurdle race at 2m 5f on heavy ground, but that win was over two years ago. Third of 17 behind Criq Sun beaten 1 3/4l at 14-1 on his latest outing in a hurdle race at Limerick over 2m 3f (soft) in December last year. Hollow Crest D F O'Regan J Nash 6 yrs, 10-3 59 Form: 57F500 Placed in a NH flat race from nine starts. Well beaten at 100-1 behind Harrie when 11th of 15 on her latest outing in a maiden hurdle race at Tramore over 2m 5f (heavy) in December last year. Qery A W Short P J Rothwell 7 yrs, 9-11 155 Form: P00P/0-9 Yet to place in seven starts. Well beaten at 40-1 behind Cappacon when 9th of 14 on his latest outing in a hurdle race at Wexford over 2m 4f (yielding) in September last year. GLOBAL RACING looked on good terms with himself when scoring over C&D last month and although he's since returned a beaten favourite over this trip at Fairyhouse and has a further 2lb rise to contend with, he's considered the most likely winner all the same. 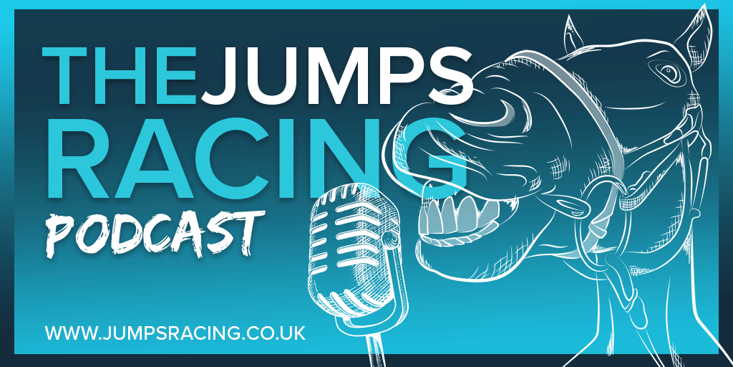 Load Up Time may be able to build on his 2m4f third at Navan last time now granted this stiffer test, while Lady Writer is entitled to improve for the fitting of first-time cheekpieces.